Direct measurement means delivering the right answer, no matter what; changes in color, additives, temperature, or granularity do not alter the results. Because the moisture and fat are being measured directly, costly maintenance calibrations and are not required for accurate results, saving time and money. By using AOAC approved methods, the MEAT Trac is able to provide a fast answer with the accuracy and precision traditionally seen in reference methods. 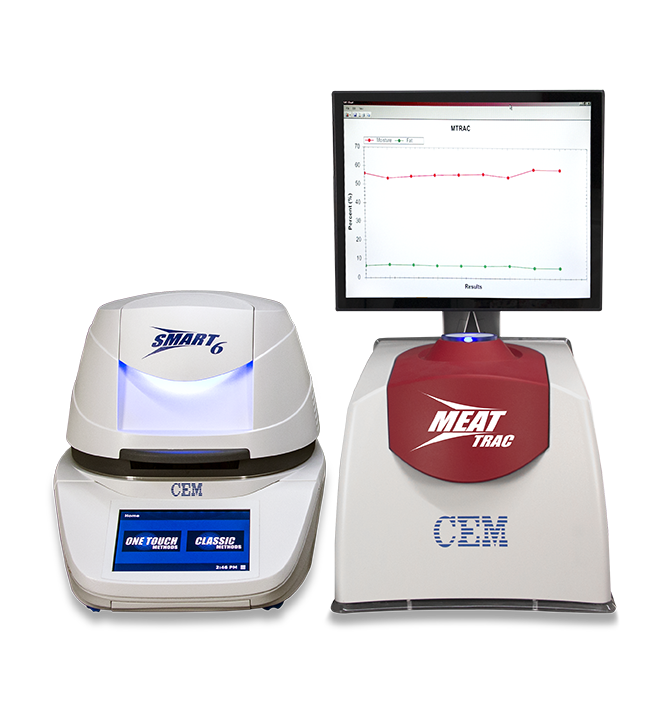 Delivering precision within 0.1% in an 8 second fat test proves that the MEAT Trac’s speed does not sacrifice results. This reliable workhorse is the gold standard in equipment. With built-in diagnostics and a signal lock before every test, MEAT Trac is able to deliver consistent results test after test. Reduced down time, paired with methods that don’t drift or need recalibration, mean the MEAT Trac is a system you can trust.